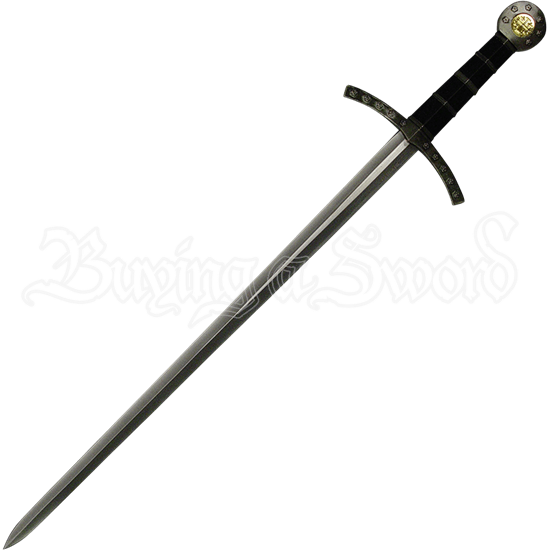 A regal weapon befitting a knight on a divine quest, the Knights Templar Black Hilt Crusader Sword is inspired by sword styles seen in the Middle Ages and ornately styled with an extra touch of detail, making it worthy of display. The polished, 440 stainless steel blade has a false edge and sharp point with a central ridge down its length. Also made of stainless steel, the arms of the guard curve slightly upwards, decorated by minute flower details. Black finished ABS simulates wood on the grip, decorated with bands of steel before reaching the rounded pommel. Small matching flowers add elegance to the stainless steel pommel, surrounding a gold tone Crusader cross emblem. The intricate and historically inspired beauty of this decorative blade is matched with an included sheath. Made of ABS with a black semi gloss finish, polished steel decorates the neck and tip of the sheath while faux leather cord wraps around its length. 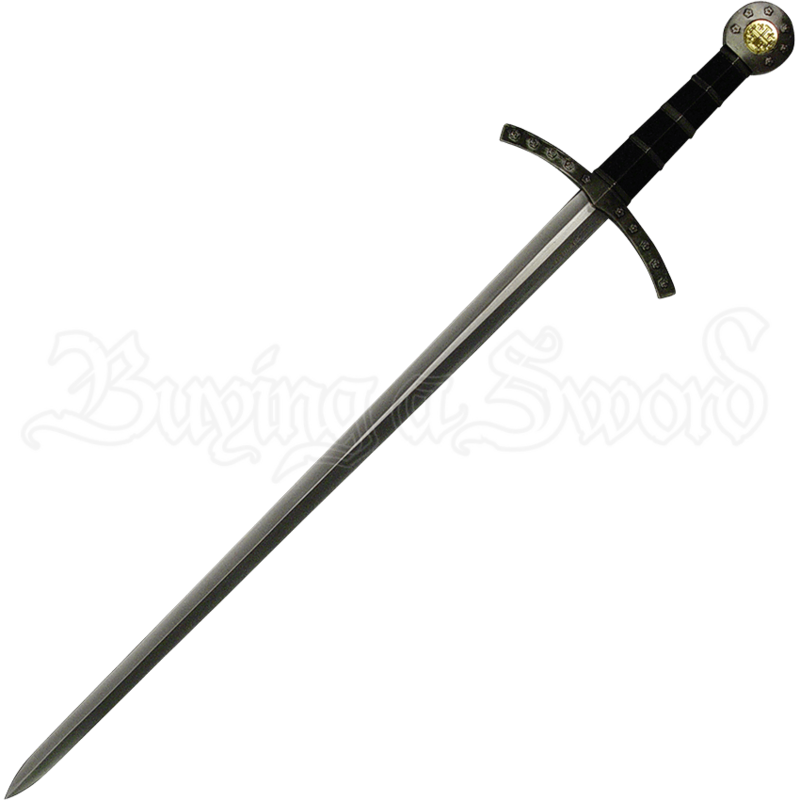 A must-have collectible for any fan of the medieval era, this ornate Crusader sword is a beautiful display piece in almost any setting and also makes a great gift.